What is your pick this month? Welcome to a rather interesting edition of Map of the Month! We got 3 entries this month, so let's get right into it. After 433 days of collaboration between 20+ people, the completed overworld map for 1 Screen Massacre is finally here! I guess you could say... everyone wins. 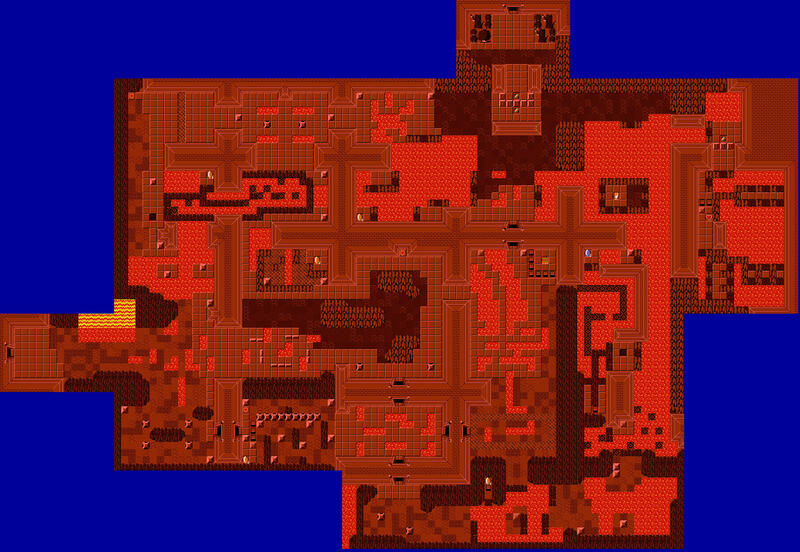 I try to separate the map from the area I played in Board Gmae. From playing the quest, I didn't care so much for the area, because of the raft wonkyness. However, looking at the map from a perspective of how it looks, and how it appears to be structured, I like it a lot. You really did nothing wrong in the actual map creation as far as I'm concerned. Very nicely done. I like the town. It looks like, a town, as it should. All the individual graphics are nice, and I respect the work that goes into making custom tiles. However, I think it's too gray. I would personally change either the road or wall colors. It's really cool that the community as a whole actually managed to finish this map. It's really nice, and has some highlights, like the bridge and the carnival that draw my interest. Lava doesn't belong by a snowy mountain *cough* *cough*. Excuse me princess. Most of it looks nice, though since there are multiple contributors you can see little variations in quality screens. Like the green area in the bottom left looks blegh to me. It is really amazing that with all the contributors it came out as such high quality though. However, my vote goes to TheRock. The problem is that trees overlapping the road would be a bit jarring on walkability since the treetops are solid (like in the official Gameboy Zelda games). Also the pond is square mostly cause I intend on placing a statue in there, meaning the pond's artificial. Anyways, regarding the grayness, I will definitely create a secondary gray-ish colour for the walls. Thanks for the feedback. The 1sm map was completed only a few days ago and it's a testament to the community we have here. Some people made just a few screens and some made a ton of screens and kept the 'claim' torch going. Everything came together in the end and it looks great, especially considering we literally vomited it out one screen at a time with little to no planning. I'm happy to say the my wife and I just had our third kid last weekend, and the thought that one day my girls will get to play this quest and many others in the database makes me happy. When I was 8 or 9, I used to dream about making a zelda game, and look at what we've made together. Thanks, All. I rather like how Shane's gamebody Zelda tileset is coming along. I want to personally say PureZC as a collective has done an awesome job at keeping up the Screen Massacre and that gets my vote. Congrats to the 1 Screen Massacre contributors for winning this month! Next contest will be up shortly.